Batter Cookie Dough offers customers an array of cookie dough flavors to choose from at Ponce City Market. 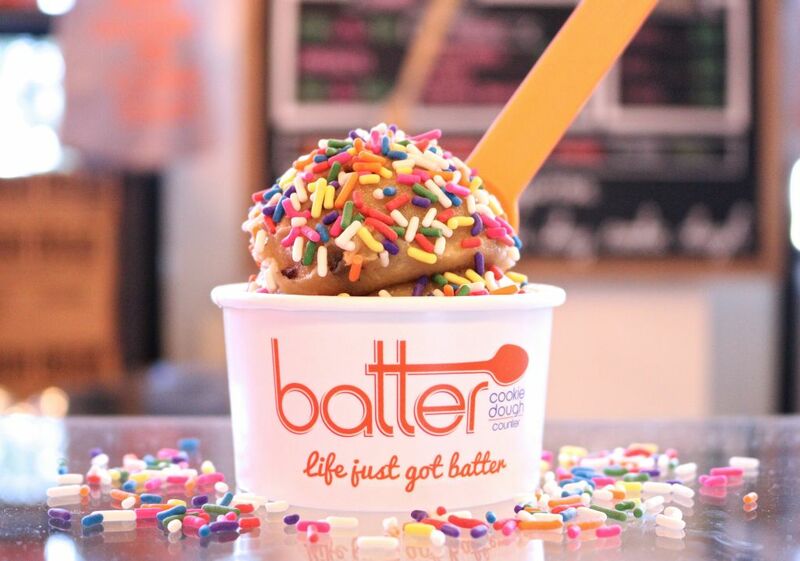 One scoop of eggless cookie dough at Batter is $4.25; toppings are extra. A new confection is being offered in this season of indulgence at Ponce City Market’s Central Food Hall. 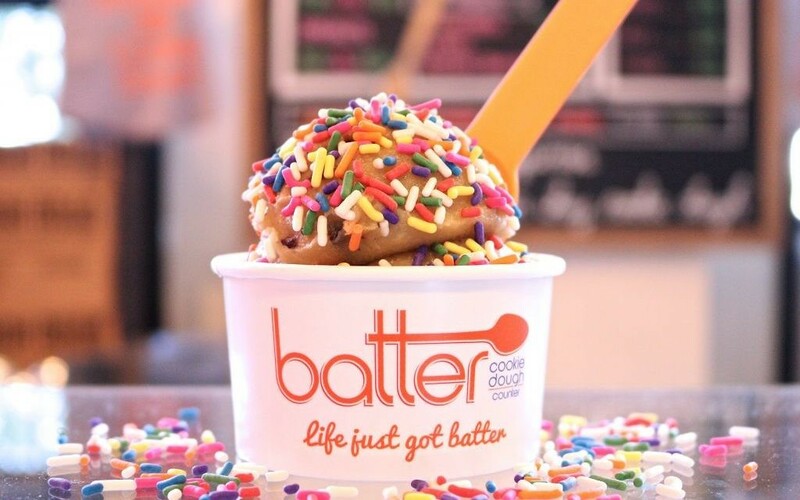 Atlanta native Julie Abes has opened Batter Cookie Dough, a counter/walk-up shop. 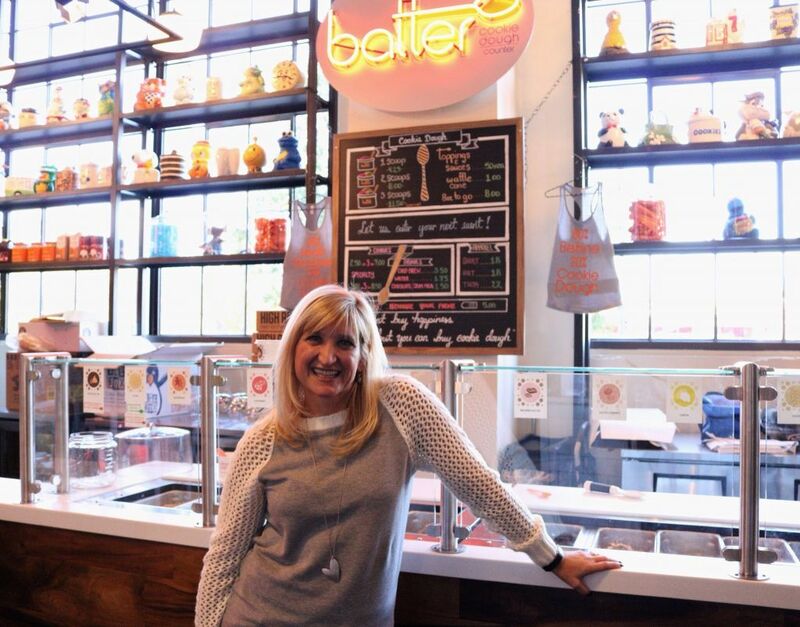 Developed in collaboration with Marietta-based High Road Ice Cream & Sorbet, Batter Cookie Dough was welcomed to the Old Fourth Ward by lines of fans and eager eaters. She spoke about how she hatched and executed the newest “in the raw” dessert rage. Jaffe: How did you get the idea to do this? Abes: In a visit to Manhattan with my daughter, she found social media postings about the trend there. We lined up to check it out, and wow! (We realized) this would really work in Atlanta. Jaffe: What are we really eating here? Abes: Our batter is eggless and made with heat-treated flour (to ensure zero bacteria). We offer traditional and seasonal cookie dough flavors like sugar, chocolate chip, peanut butter, brownie batter, oatmeal, lemon, salted caramel and s’mores. Our seasonal dough is gingerbread and peppermint. Also, don’t forget gluten-free and vegan. We also have fresh-baked cookies (served warm), coffee and milk. Our dough is freezable. Baked treats are available warm. Jaffe: What’s the price point? Abes: One scoop is $4.25, plus toppings if you want: M&M’s, crushed pretzels, marshmallow sauce, white chips and more. 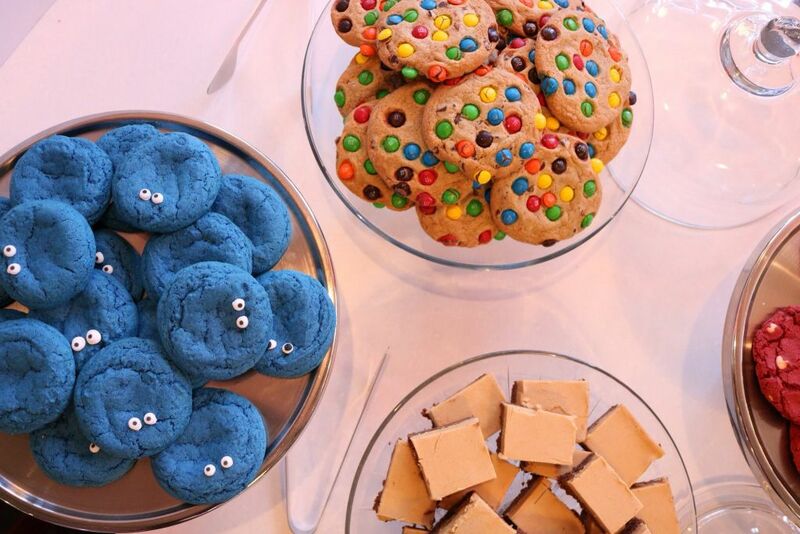 Baked cookies are $2.50 each or three for $7. We love to cater. 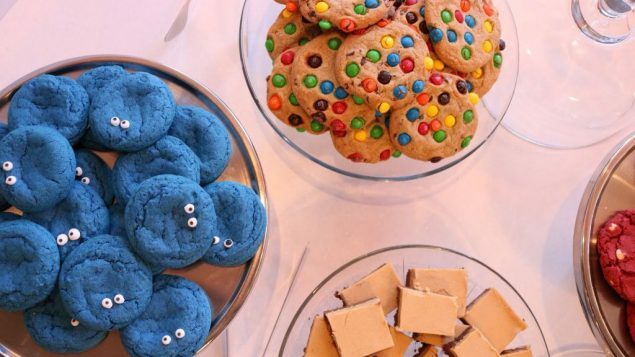 … We can either drop off or set up a cookie dough bar for bar/bat mitzvahs, birthdays. Jaffe: What’s the long-term strategy? Abes: Since we only have 320 square feet here, I envision expanding with carts … like some of the Popsicle businesses have done. 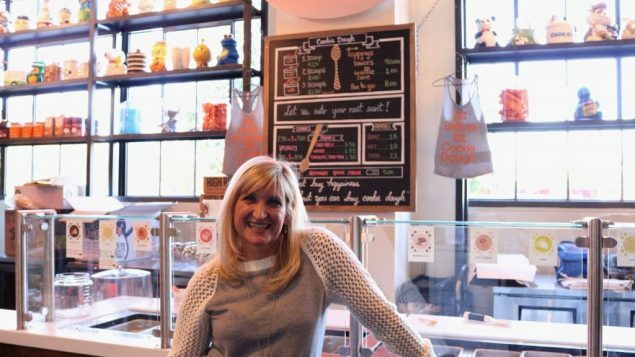 Julie Abes has 320 square feet to prepare and serve her treats at Ponce City Market. Jaffe: Husband David certainly knows his way around the food business. Abes: He has my back and has consulted in many areas. He knows about equipment, ordering, etc., but the concept and business are my own. We think that PCM for our first location is really a cool win-win. Remember, PCM just put an ice skating rink on the roof. Skate on over for some fun and yummy dough.